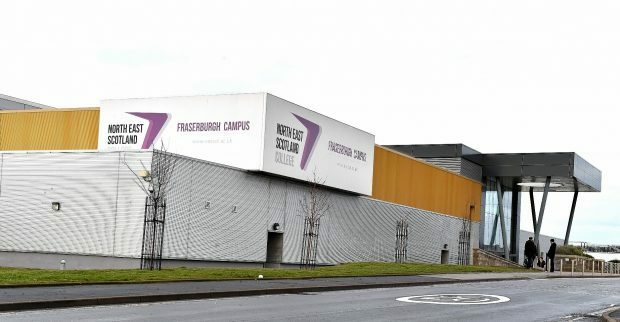 North East Scotland College is facing a repair bill of more than £20 million and a Highland college has to act to remain “financially sustainable”, a new report has revealed. The maintenance backlog at NESCol, which has its main bases in Aberdeen and Fraserburgh, was one of the highest in the country, with Scotland’s Rural College also said to be facing more than £20million of repairs. The issue was highlighted in a new report by Auditor General for Scotland Caroline Gardner, who warned of a “very challenging financial environment” across the sector, including an overall repair bill of £360 million. And while she highlighted “good progress” at the University of the Highlands and Islands (UHI), concerns at associated colleges were also flagged up. North Highland College – which is based at Thurso, Halkirk, Dornoch and Alness – had forecasted a deficit of £857,000 for last year and its bosses were said to view current arrangements as likely to “become unsustainable without significant changes”. Lews Castle College, on the Western Isles, was forecasting deficits for the next five years, and UHI colleges were also facing around £16 million of repairs, including almost £6million at Moray College and more than £3 million at both Sabhal Mor Ostaig on Skye and North Highland College. The report also highlighted UHI’s plans to “explore options for greater integration” with four of its five colleges to “simplify UHI’s structure and governance arrangements”. North-east Conservative MSP Peter Chapman raised concerns over the “eye-watering” repair bill at NESCol last night. “We know the SNP has neglected the college sector in terms of funding, but it seems that they have also allowed these repair bills to spiral out of control,” he said. But Further Education Minister Shirley-Anne Somerville said the government had invested more than £7 billion since 2007, including a near 10% real-terms increase this year. UHI’s Chair of Court Garry Coutts said: “Co-ordination and a culture of collaboration across our region is fundamental to our success as a tertiary partnership which exists to deliver a clear line of sight for our learners from access courses right through to PhD level. “Our students and staff are still, however, calling for improvements and simplifications of processes and procedures, so all students, no matter where they study, have parity of experience and staff can develop their careers to the highest level.